"Mimi, Wyatt and I were wrestling". Silence, then in the same excited voice, "Wyatt and I were wrestling". "Okay, and why is that news?" "My tooth got knocked out!!" "Oh my. Your first tooth. Did it hurt? Did you cry?" "It's okay. I still can remember when I lost my teeth". "You do??!! Were you and Papa wrestling when they got knocked out?" For the rest of the conversation all I could envision was Tim and I as little kids and him wrestling me to the ground and me coming up toothless and crying. No artwork or amazing designs for you today, but a huge accomplishment. 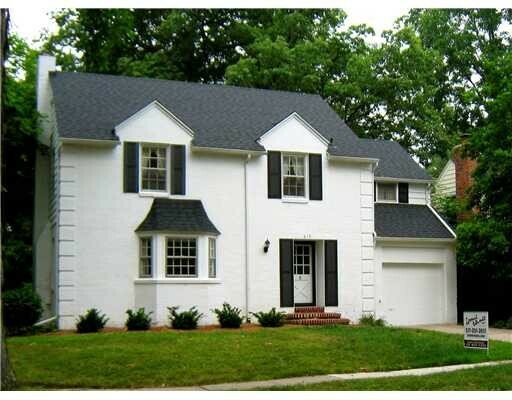 After many months Tim's mom's house is finally on the market! It looks fantastic, doesn't it? Well, you didn't see the befores. Don't even want to dig up the old pics, but everything was green. Seriously. Now I love green, but all the walls, woodwork and carpeting were a bit much. We were thrilled to find wood floors underneath the livingroom carpet. SCORE! 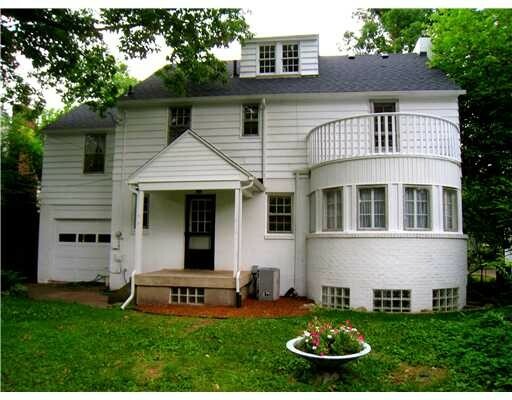 It's a charming house, circa 1937 in East Lansing and within walking distance to Michigan State U. Strange to be at this point in life. So many memories were made there. Yes, in fact I think that's where Tim and I wrestled as 5 yr olds (okay, just kidding). However, it is in that livingroom that Tim kissed me for the first time...and then we wrestled... Okay, my family is going to kill me now. Bye bye. What a cute cute story! Love it!! The house looks fabulous too! Whoa! you're literally in my back yard! It seemed weird to read "East Lansing" in a blog post...I'm a Spartan and just down Grand River a bit in charming Williamston. Good luck on the sale! I don't have to tell you about our real estate market here. 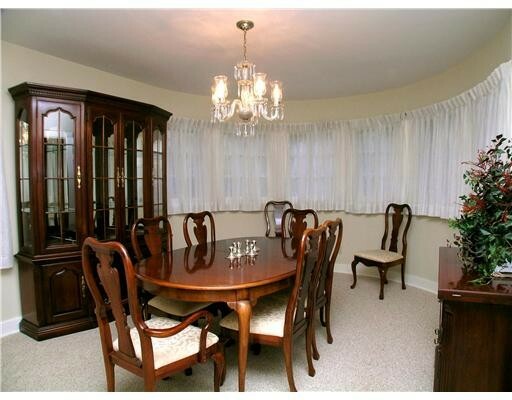 You can pick up a $1.2M McManse in my sub for about $650K. Gah! And the back is fanTABulous!!! Please, can I take all the curtains down in the dining room? Wouldn't that be an amazing sewing studio with all that natural light? And now I will break into song "It's a small world after all" I'm from Mason MI just south of EL. I went to MSU in my college days! WAY CUTE HOUSE. You don't see charm like that anymore. Good luck. I love this house!! Too bad I'm not looking to move to Michigan. Paula...what a beautiful and charming home! Cute tooth story! My second daughter is almost 7 and she still has all of her baby teeth...maybe a wrestling match is in order??? What a beautiful house. So nice to think of all those memories. What a way to lose a tooth! I think I drive by this house on my way to work ... who knew! Tee hee on you and Tim wrestling!!! OK-- I love you! You are the funniest person I know..honestly! I wondered where you got that knocked out tooth, now I know-- "wrestling". Oh I love this house....I just want to turn it around so the curved bit is in the front. And if I lived there I'd be so much closer to my granddaughter in the Detroit burbs than living here in NY. 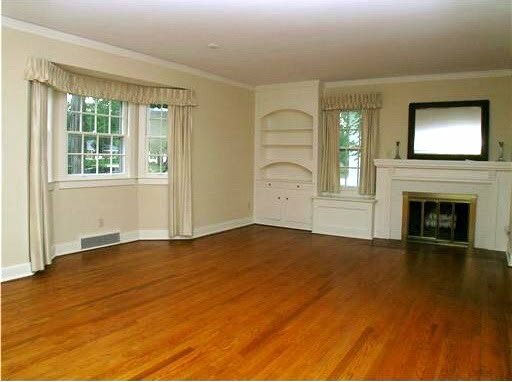 I have to tell you I bought a house ( the one I am in now) where every room, window treatment, wall color, counter top and even the pergo floors are GREEN...yes I haven't been able to quilt with green for years now! It took me 6 weeks of priming and painting to cover all the green! Even the built in shelves were green! Your MIL's house is the most charming house I've seen...we don't have many like that out here on the West Coast...bunch a ramblers out here...love all the little vignette's in this post! !